The management office of the Energie Campus Nürnberg is your first point of contact. From here it is only few minutes to walk. The best way to get your orientation is by our site map. 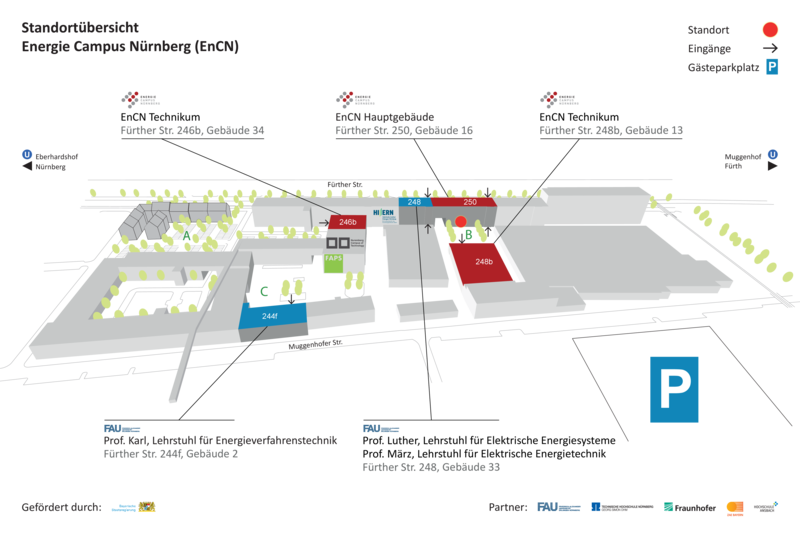 Parking: A large number of parking spaces are available at Muggenhofer Str. 166.